Jammu and Kashmir wildlife protection department retrieved more than 1,500 square metres of encroached land in the Janitpur area. JAMMU: Jammu and Kashmir wildlife protection department retrieved more than 1,500 square metres of encroached land in Janitpur area here, an official said today. An operation to evict the encroachers was carried out yesterday by a team headed by Amit Sharma, Wildlife Warden, Jammu, the department's spokesman said. 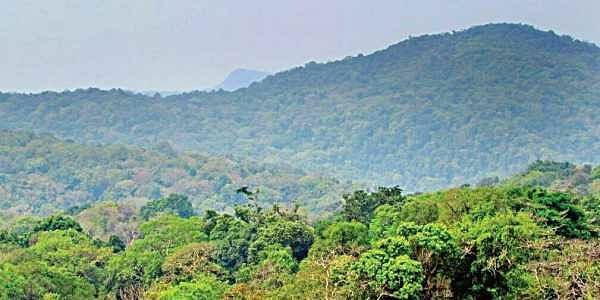 The encroachers were given alternative grazing sites in Kalidhar range by the forest grazing committee but these families forcefully entered into the Ramnagar Wildlife Sanctuary area in violation of state wildlife (protection) laws, the spokesman said. "The department is trying to relocate the families to other forest areas where the demand for fodder for livestock can be met. "The families living on fringes of protected area have been advised to contact concerned forest officials for allotment of grazing area for their livestock," the spokesman said.